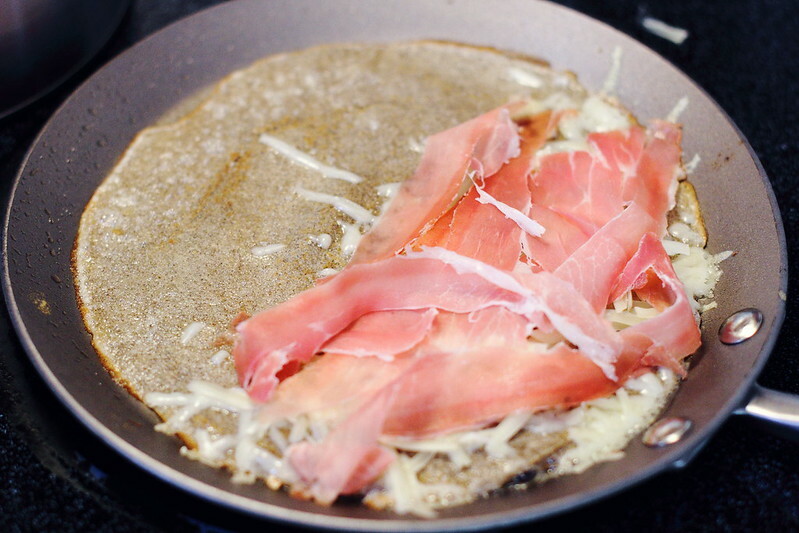 When B and I went to Paris, one of the things I was particularly excited for him to try was savory buckwheat crêpes. You seldom see these in the States, which is really too bad because they’re healthier than their white flour cousins and, in my opinion, go much better with savory fillings like meats, eggs, and cheese. 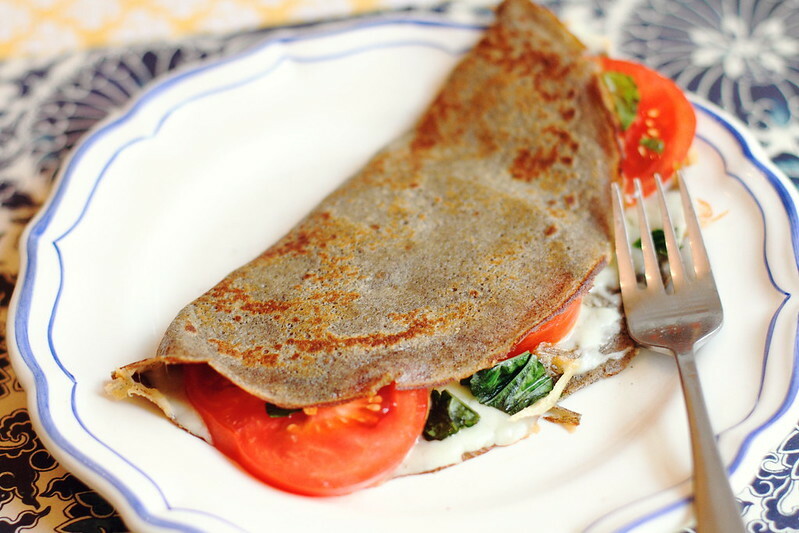 Interestingly enough, buckwheat crêpess, or galettes, as they’re called in France, predated the white flour crêpes we’re most familiar with. 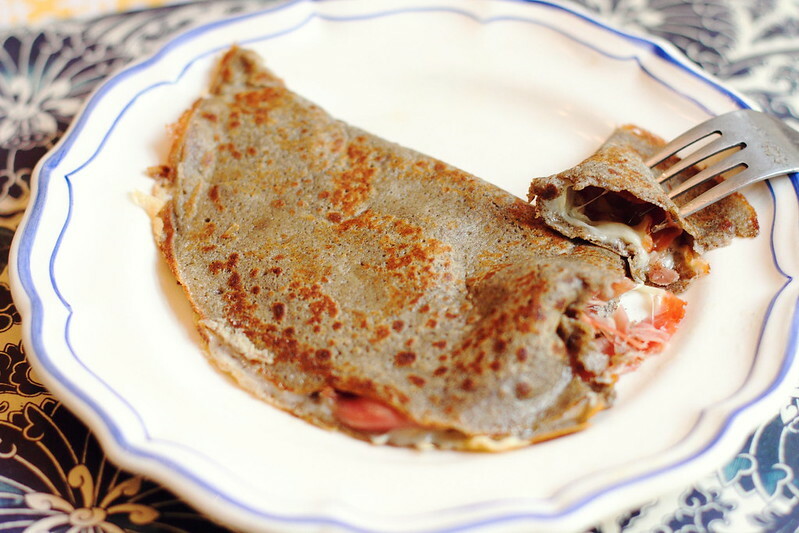 Buckwheat was introduced to Brittany (home of the crêpe) around the 12th century and thrived in rocky moors. White flour crêpes only appeared at the turn of the 20th century when white wheat flour became more affordable. This is actually the perfect time of year to eat crêpes. In France, crêpes are traditionally served on February 2 for a holiday known as Fête de la Chandeleur, so these will make a fun little dinner tomorrow if you’d like to have a celebration of your own! Melt 5 tablespoons butter. Combine the melted butter, both flours, the milk, eggs and salt in a blender and process until smooth. 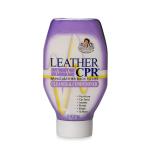 Let the batter rest at room temperature at least 1 hour or overnight. Heat a skillet over medium heat until a drop of water sizzles in it. Lightly butter the skillet, then add a scant 1/3 cup batter and quickly swirl to coat the bottom of the pan. Cook until the crêpe sets and browns around the edges, about 2 minutes. 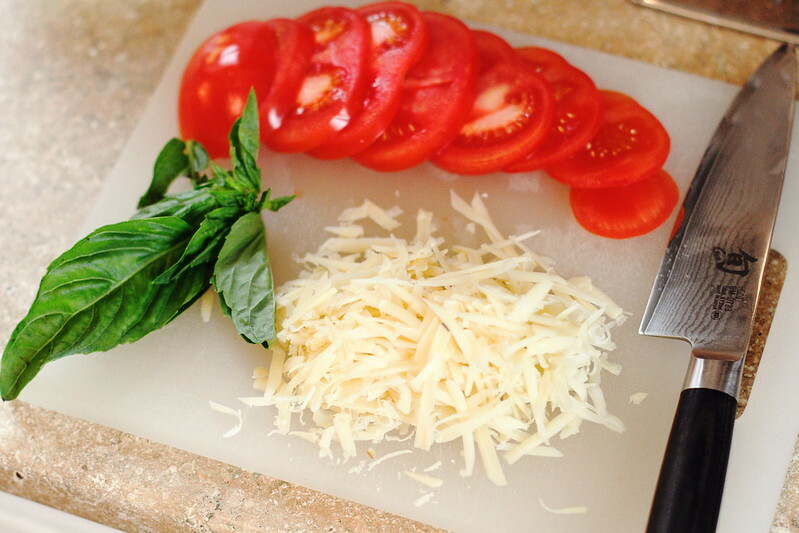 Carefully lift with a rubber spatula, flip over, add desired fillings, and cook about 30 more seconds. 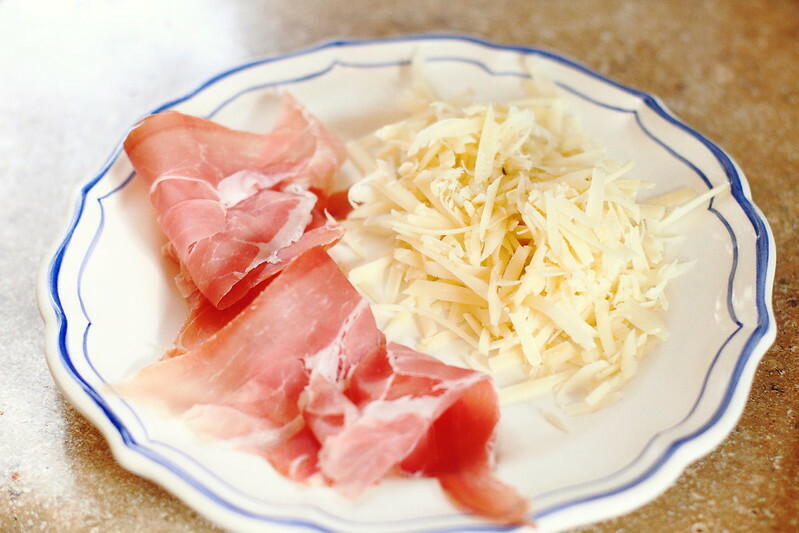 Transfer to a plate and enjoy! If you’re making a large batch of these and need to reheat before adding the fillings, stack crêpes on a plate, wrap them in a damp dish towel and place in the oven for about 10 minutes at 300 degrees F.
You can also make the crêpes a day ahead. Just wrap in plastic and refrigerate, then reheat before assembling. Hubba hubba, this looks incredible! And so light and airy. If food can be delicate, this is just that.